The month of November came in like a lion and is going out like a hibernating bear. But within the tumultuous days in what is quite possibly my least favorite month, there was a light, not only at the end of the month-long tunnel, but emanating from inside of it. NaBloPoMo cast the glow of a warm light that bathed me in its radiance. November is typically a month of dull, grey days that do nothing but merge into dark, lifeless evenings. The clock has fallen back to make those days even shorter and without snow on the ground, November is nothing more than 30 days of lethargy and gloominess – until NaBloPoMo came into my life. Since I am relatively new to the blogging world, and have only recently re-acquainted myself with the writing portion of my cerebral cortex, I wasn’t sure if I had enough verbiage that would span 30 days. I couldn’t have been further off the mark. Words seemed to tumble over themselves to jockey for positions on the screen. They pushed and shoved each other until the line up resembled a bar code for the Tassimo brewer – everything had its place. If one of those words lined up incorrectly, the flavor of the post left a bitter aftertaste. It’s been a great month-long ride of diving into the fountain of my creativity. I still find myself blissfully afloat in the calming waters and feeling like I am home. The tepid water envelops me, yet keeps me buoyant and cradled in a sense of unity with its tides. So I shall pat myself on the back for posting for thirty days successively, and hope that the next 31 days find me still floating (face up) in that fountain of ideas. I thank all of you for your continued support and encouragement and look forward to sharing more of my ideas as well as ingesting so many of yours. I can honestly say I love the new community I find myself ensconced in and look forward to a continued journey of words, phrases and friendships. 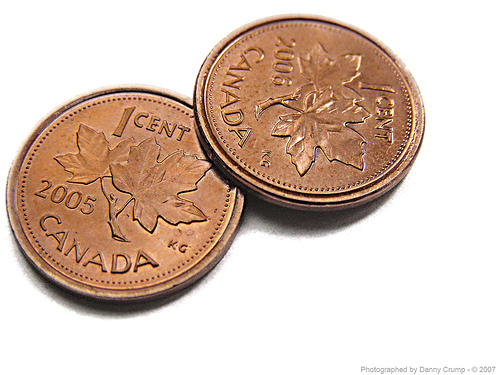 On February 4th of 2013, the Canadian Mint will stop distributing the penny to financial institutions and eventually take them out of circulation altogether. This decision instills a small fear in me. Not the fear of change, (pardon the pun), but the fear that my opinion may no longer count. And yours too, for that matter, if you live in Canada. You should all be concerned that friends and family may no longer ask us how we feel, because there will be less of a way to measure our input. Putting in our two cents worth will become either non-existent, or result in a much higher cost. And what happens to all those two cents worth we have volunteered in the past? Are they negated because the currency of their voice no longer exists? By changing the essence of the Canadian economy, they are creating instability in the people’s method of voicing their opinions. Does my two cents worth increase in value because they are rounding up? Does what I have to say really equate to five cents? And, is what I have to say really worth that extra three cents? And what about “a penny for your thoughts”? Will we now be subjected to soliciting free advice, or will those seeking outside recommendations be paying more for what they thought was only worth one cent? The monetary value on the weight of our words, when asked for, will no longer hold any financial worth. Either that or it is going to become increasingly costly to ask for outside counsel. What once would have cost a penny for a thought will now be rounded up to a nickel, and someone’s two cents worth will now become a dime. This may have a long-term effect on mortgage rates and interest rates – this could lead to financial anarchy! Perhaps this is the Bank of Canada’s way of insinuating its salacious attempt to create more wealth amongst those willing to bestow their wisdom upon others. What would have once earned you a penny, will now net a profit of four more cents towards a retirement account and bring an earlier date of financial freedom. And if you are willing to give up what would have once been your “two-cents worth”, your net profit is now a substantial increase on your original remuneration. Perhaps the powers-that-be have converged to agree that our opinions truly do matter, and perhaps they see more value in that inference than we had originally anticipated. The sand lays in wait. Millions of grains stretch for miles and the beach seems to be swallowed by the horizon line. But you boldly step forward, take that stick (or your finger) and draw your line. Personal limits are a must-have. By setting boundaries, by drawing that line in the sand, we take a giant step towards preserving our integrity. The line we draw becomes an invisible wall of defiance and gives us the strength to truly stand behind what we believe in and allows us to have the courage to defend that wall. Knowing where you stand is more than half the battle. Many people can aimlessly wander through life with no true convictions. They are easily swayed and can become lost in the crowd, without ever truly engaging their basic human right to have an opinion. But allowing ourselves to have that opinion can define who we are, to the core of our being, with no outside influence and no second-guessing. We can create a line that we won’t cross to avoid being swallowed in the maelstrom of millions of other ideals that don’t represent our own. It’s perfectly okay to have boundaries. Our opinions are like doorways to our mind. We can leave those doors wide open and allow others to come in and hear those opinions, or those doors can remain closed to safeguard our thoughts without really having to defend that line. Have an opinion and be willing to stand behind it. Here’s your stick – feel free to draw your line. Today’s world is a far cry from simple. It is a labyrinth of cultures, race, skin color and vastly different systems of belief. It is a melting pot of strong ideals and judgements, and it is quickly becoming far less tolerant than it once was. 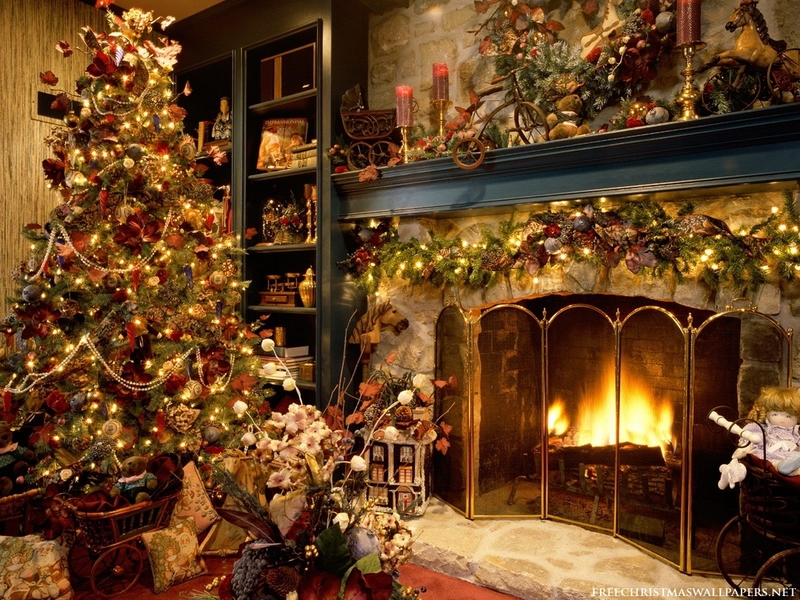 I happen to celebrate Christmas, and in the process of that celebration I can be heard uttering two words that, although were once mainstream, are now, by some, thought to be completely offensive. Merry Christmas. Two words that contain the ideals of the child I once was and now hold dear the spirit of a celebration that I embrace. I am not a vindictive person and when I choose to verbalize those two words, I am not negating the fact that you may not celebrate this particular holiday. I am choosing to share my love of the holiday season in my way. I am attempting to insinuate my child-like joy into the moments of your day by choosing to wish you the best of the holiday season in a way that I learned through osmosis. There used to be something exceptionally special about watching the joy spread by speaking those two words. It was like watching a wave of true happiness spread from one person to the next. Now, instead of riding that wave, it is more like treading lightly on the edge of the water, ever mindful of sharp objects in the sand. I have felt trapped at times, wondering if I should only articulate the two words that do not seem to easily offend, but happy holidays doesn’t encapsulate the true spirit I have at this time of the year. Sure, it may be less offensive to some, but perhaps they don’t take the time to know the feeling behind the words. By wishing you a Merry Christmas, I am merely saying that I want you to enjoy your way of celebrating as much as I enjoy mine and somehow inject some of my cheer into your day. So let me throw caution to the wind and impart my holiday spirit to you on this Sunday morning. Merry Christmas to all and may the spirit of the holiday season, whatever your holiday may be, bring merriment to your smile and gladness to your heart. This was written several years ago, but I have been thinking about it lately for some strange reason. to flow forth from the keyboard caressed gently by my hand. Such a spontaneous collection of flowing phrase and rhymes that I command. I understand a passion that’s not easily defined. to whimsical thoughts of whirling words trapped in such small space. Only when I script my rhymes, my thoughts have found their place. The many ways it manifests, the many different verse. I accept the visions I have not seen, I am blind from word to word. But when I read my thoughts aloud, what imagery I have heard. when poems, dreams and promises, magically fill the air. and allow the rhymes to define the words that could never before have been said. I am a prisoner of my passion, a victim of its grace and style. Spoken words will never fulfill, they last but only a while. and embarks on a journey of bringing forth, creative thoughts from within. I loathe public transportation. Every nuance of its existence offends me. The platforms are loud and over-crowded, the blended fragrances of the vast array of perfumes, cologne and foul body odors are noxious and people are overtly rude. I don’t like crowds and I certainly don’t like feeling like a sheep being herded into a confined space. I wish I had a car. I purposely took a seat in the station far from the gathering crowd. If I could begin my holiday with some personal space, I might have a fighting chance of surviving the journey without incident. I buried my nose in the latest Oprah Book Club selection, The Poisonwood Bible, and tuned out the din of the increasing population of travelers. I felt his stare before I actually looked up to take notice of him. He was staring directly at me. His eyes were so fixed on my face that he had seemingly forgotten to blink for about three minutes. His face was worn, and it carried with it a lifetime of pain. The deep-set lines in his forehead reminded me of the lines carved into a sand-blasted sign. To say he had character would be a gross understatement. But nothing about his gruff complexion made me uncomfortable. There was a genuine sadness in his eyes and, for the first time in my life, I wanted to talk to a complete stranger. I made the first move and closed the distance between us. He blinked and a single tear traced through the jagged pattern of wrinkles on his cheeks. The words he uttered almost came out in whispers. He had lost his daughter, and every day he would come to the bus station just to catch a glimpse of someone who resembled her, to help him hang on to her memory. We chatted about ourselves briefly and I became so intrigued by this man that I barely heard the metallic voice announcing the arrival of my bus. I stood to gather my things, but I didn’t want to go. I didn’t want to leave him. I missed my bus that day. My family was angry that I was late for the festivities, but when I explained what had happened, they were moved to tears, as was I. The sweet man who stared at me in the bus station and I now have lunch together every Friday. I now call him my friend. Written for the Daily Post Challenge: You have the chance to write one last post on your blog before you stop blogging forever. I am a smoldering pot of emotion. This blogging journey, and all of you, my fellow writers, have taught me a great deal about myself. I was apprehensive beginning what I thought would be a whim, but what truly turned into a collection of moments that, once they were added together, defined me. From the rare glimpses into my humor to the things that truly touched my heart, I have bared my soul through pontificating on these random polysyllabic profundities. Many suns have set as I assumed the position at my keyboard, unaware that the day had passed and the night had now enveloped the walls of my widow’s peak to which I have become accustomed to writing behind. The wind has frolicked through the leaves and tickled them on its way. Those same leaves have fallen to allow for the snow to blanket the branches, season after season, and I was none the wiser. Months, even years passed as my mind was lost in thoughts of future tales to tell. And now, in what may be my eleventh hour, I am overcome with grief as I say goodbye to what has possibly been one of few true friends that genuinely understood me. This blog has been the one confidant that I was able to tell my deepest secrets. It let me rant when I needed to release my anger, it laughed at my humor and embraced me when I wrote about things that absolutely broke my heart. It has nursed me through the passing of loved ones and helped me welcome the next generations into our family. And now, as I sit alone on my last night on this earth, it is this blog that is my only companion, for it sees me as I truly am. I want my family to remember me full of life and not a feeble, bed-ridden old woman, barely able to type. There is a slight chill in the air and I feel the darkness seeping into the corners of my eyes. I shall hit ‘publish’ one last time so my last words will enter the blogosphere as I enter the light. My words will be there to greet you one last time as those who have passed before me await my arrival to join them in that place beyond our world. Thank you for joining me on what was a very long, but extremely fulfilling journey.